This is a commission slot. 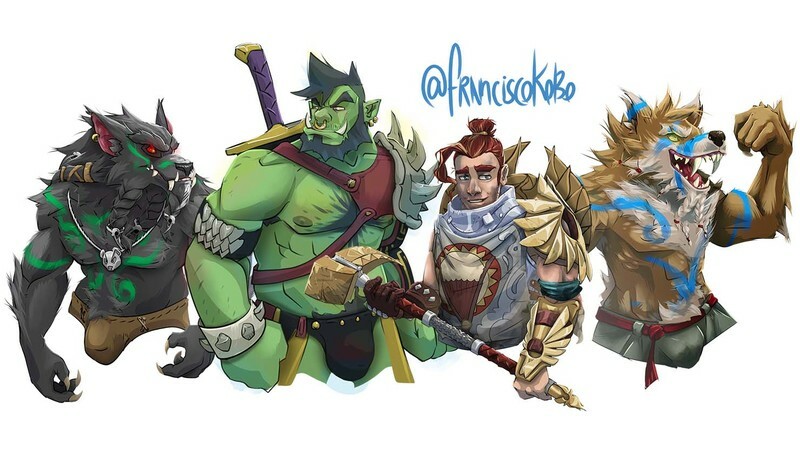 You can hire FranciscoKobo to create a personalized artwork of this sort here. Do you want to have your D & D character/ OCs cooler? I love playing Dungeons & Dragons, as well as having my own characters! so now you can have yours! I would need a description of your character, physical and mental! What do you work on? Do you have a special weapon / item? Or maybe you give me the opportunity to create something new to include in your character! I always work in digital and I keep the whole process, which I would gladly contribute with the original! This artist maintained contact through out the process and works to make sure the art comes out just a requested. Would definitely work with again. Very good work and willing to listen! Incredible work in a very timely manner and plenty of communication to make sure it was exactly what I wanted. Fantastic job all around and most certainly worth the price! Excellent work, completed in a very timely manner. Responsive to feedback and input. 10/10 ! Easy to work with, produced fantastic results while asking for my opinion/showing me stages every step of the way! Excellent artist to work with, each piece has its own personality that the artist brings to life! Awesome artist to work with, will definitely work with again in the future! Really good work, will definitely be commissioning again! I am starting to work on the ordered part once the slot is marked PAID. You will obtain your final image without a watermark and in high quality and once you mark the slot as COMPLETED also when the payment is made. I can publish your drawing on my social networks. Please, tell me if you do not want me to publish it. PLEASE, if your commission is personal, DO NOT resell it or claim it as your own work of art. However, you CAN print your completed commission for yourself or your friends, as long as you do not take advantage of it.